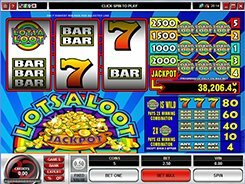 LotsaLoot is a progressive slot from Microgaming played over three reels and having a classic look and feel all the way. 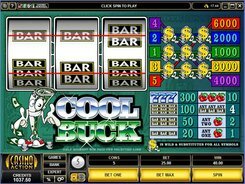 A coin value is fixed at $0.5, with a single coin accepted per line, so the top and ceiling bets are $0.5 and $2.5 per line, per spin. The symbols set is bars, sevens and the slot’s logo. 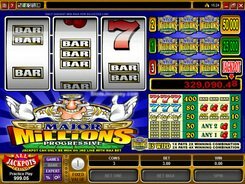 To be eligible for a progressive jackpot, you must meet the following qualifying criteria: to place the maximum 5-coin bet, and hit three LotsaLoot logos on line 5. If you are lucky, you grab the progressive that normally reaches in the high five-figures. 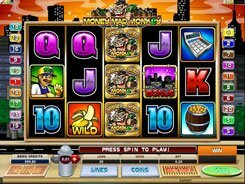 Actually, the jackpot-triggering symbol acts as a wild and wild multiplier substituting for non-feature icons and doubling the payouts. 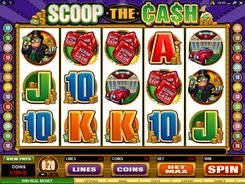 Besides, rolling in three of them in any payline, other than Line 5, awards up to 2500 coins. 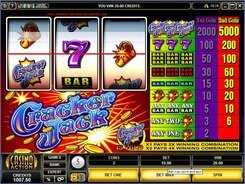 All in all, LotsaLoot (3-Reel) linked to the Microgaming progressive jackpot network, is an ideal option for jackpot seekers and classic game aficionados who can strike it rich playing the slot at max. PLAY FOR REAL MONEY!